As food increasingly impacts our health and our wallets, we need to understand the enormous effect of law-both U.S. law and international regulations-on the safety and availability of the food we eat. 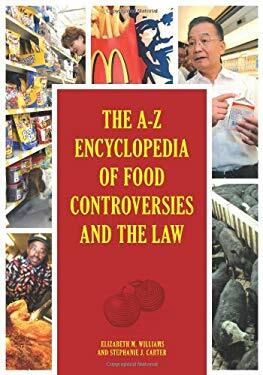 "The A-Z Encyclopedia of Food Controversies and the Law" was compiled to help readers do just that. The most comprehensive work covering food and law, the encyclopedia surveys laws related to organics, obesity, and fair trade. It tackles the intersection of law and religious belief, for example with kosher and halal foods, as well as controversies over labeling practices and consumer protection in general. And it looks at the relationship of class to food, exposing poor urban areas that possess few sources of fresh food so that residents are forced to rely on convenience stores and fast food for nutrition. As background, the set also presents a basic history of food-related law to show us how we got where we are.